Mirko Pasta, an Atlanta-based fast casual pasta franchise which saw its Toco Hills franchised location close this past Monday, will soon see that location open once again, but under a new name. Cibo Rustico Osteria will open "in a few days" in the space at the popular Publix-anchored shopping center. Mirko Pasta at Toco Hills opened in October 2011, and has reportedly been profitable as a business and popular in the surrounding neighborhood. Patrons voiced their disappointment in its closure both on this site and on my accompanying twitter and facebook page. Given the reported profitability of the business under the Mirko branding and the quick turnaround and similar concept, my assessment is that the franchisee is going out on his own to capture a bigger chunk of his revenue, eliminating the franchisee fee. The professional branding of the logo makes it seem as though perhaps the owner hopes to turn his new concept into a franchisable concept in the future. Strangely, the sign posted on Mirko's door after its closure said that the restaurant was "no longer in business" and that we [ownership] thank you for your loyal business." It would seem, given the likelihood that this concept conversion was preplanned, that this would have been the perfect opportunity to use one of those "closed for renovations" type signs that so many actually closing for good type restaurant seems to be such big fans of. For the record, Cibo Rustico Osteria has no relation to Cibo E Beve on Roswell Road in Sandy Springs or Osteria del Figo on Howell Mill Road on the westside or Osteria 832 on Highland Avenue in Virginia-Highland. 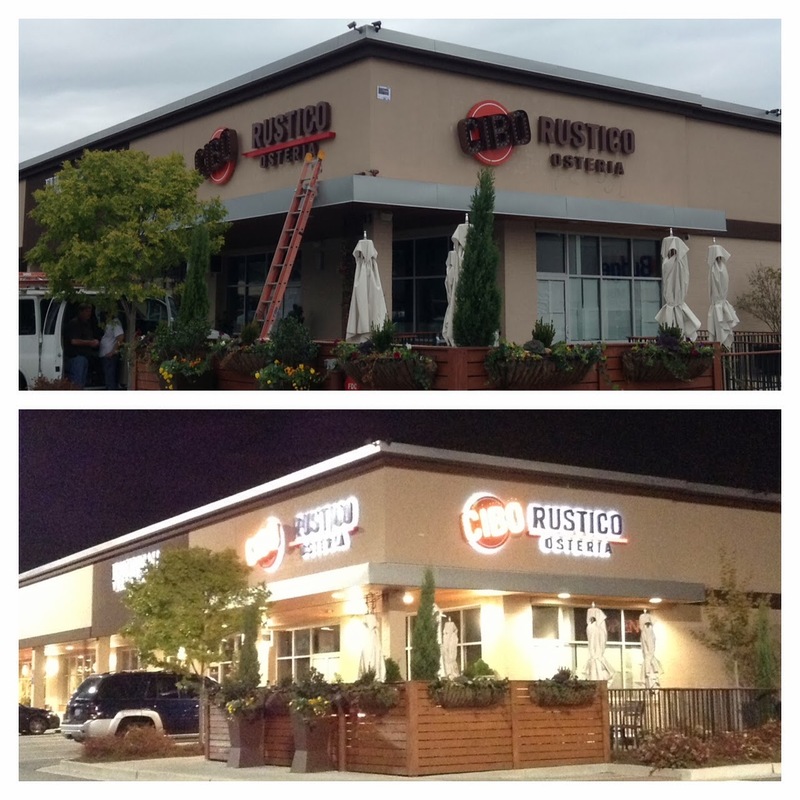 There is a rumor floating around that the owner of Cibo Rustico Osteria may have partnered with at least one other established restaurateur, possible one of the partners behind the popular Tin Lizzy's Cantina eatery. If you know more, please share in the comments below. The wording in the No Longer In Business sign may have been required to fully close the connection with Mirko as a franchisee. I don't have any behind the scenes knowledge, but usually franchise contracts require the business to go under to get our of the contract. I assume the new restaurant is run by a new .LLC with the same ownership behind it. The owners are DEFINATELY NOT behind Tin Lizzys. UPDATE : Co-owners of The Big Ketch Saltwater Grill and Milton’s Cuisine & Cocktails Chris Hadermann and John Piemonte are collaborating with proprietor Quincy Evans to open Cibo. Hadermann for the record is a partner in Tin Lizzy's, unless something has changed. The new place (Cibo) warrants a close look for appearance on the "death watch". It's just gotten more expensive with the better menu options gone. Tried it today and won't be back. It's a shame because it was pretty good as Mirko.